Lexington KY, January 24, 2012 – The Kentucky Round-Up, hosted by the Kentucky Horse Council (KHC) on February 2, 2013 at the Kentucky Horse Park, today announces an Equine Art Contest for aspiring artists ages five through adult. Three scholarships will be awarded to the winners of an Equine Art Contest to be held at Kentucky Round-Up on February 2, 2013. The Children’s Art Academy of Fort Thomas, Kentucky will award two scholarships of $2,000 each to the winners of a contest for ages five through 15. The AIC College of Design of Cincinnati will offer one $10,000 scholarship to be awarded to the winner of a contest for ages 16 and older. Lexington KY, December 31, 2012 – The Kentucky Horse Council today announces that Kentucky Round-Up, a new family event featuring horses, will benefit two family-oriented charities: Kentucky’s two Ronald McDonald Houses, Bluegrass and Kentuckiana, and New Beginnings Therapeutic Riding of Bowling Green. Kentucky Round-Up will be held February 2, 2013 at the Alltech Arena at the Kentucky Horse Park, and is designed for families, children and adults interested in fun, learning and entertainment revolving around the horse. Kentucky Round-Up also includes the KHC Members’ Awards Banquet and an evening concert by country music star John Michael Montgomery. The two charities were chosen based on the important work they do in the areas of support for children and families with needs in the area of health care support and equine therapy for special needs. Lexington KY, December 21, 2012 – The Kentucky Round-Up, hosted by the Kentucky Horse Council (KHC) on February 2, 2013 at the Kentucky Horse Park, highlights the need for effective communication between horse and rider through focused demonstrations. Presenting clinicians Linda Starnes, Avo Kiviranna and Robin Gollehon focus on understanding the horse as an individual and working within his/her strengths as the key to maximizing performance. Linda Starnes of Brownsville, KY is a certified Level III Parelli Natural Horsemanship Trainer. She owns, breeds, trains and competes Tennessee Walking Horses with a focus on versatility. Starnes utilizes Horsenality, a term coined by natural horse training sensation Pat Parelli, to identify horse psychologies and recognize each individual horse’s innate character. By understanding what is uniquely important to the individual horse, Starnes develops a training regimen tailored to them. 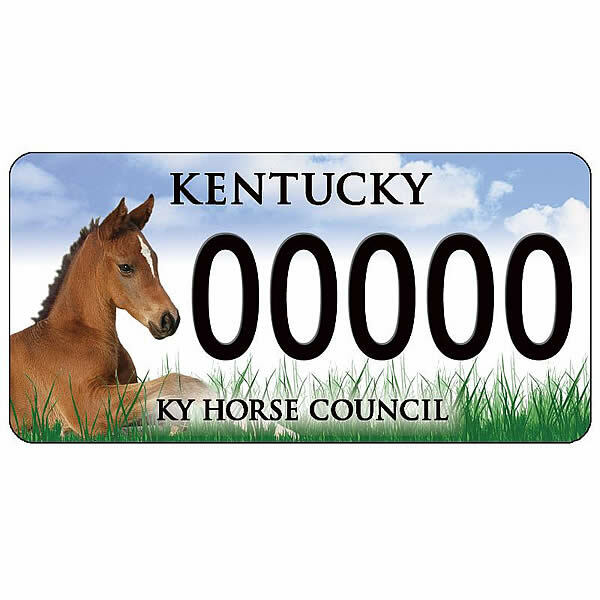 Lexington, KY, October 1, 2012 – The Kentucky Horse Council (KHC) today unveiled a new, updated design for the horse license plate known so well to Kentuckians. The new plate marries the old and new, by keeping the foal image that so many Kentuckians loved, but using new technology to enhance the image with more details and realism. The horse specialty license plate is available for any car for a license fee of $44.00. Part of the proceeds from the plate goes to support the Kentucky Horse Council’s programs in horse welfare, industry education, and public awareness of the impact of the horse industry on Kentucky. Lexington, KY, August 28, 2012 – In the wake of the horrific tornado damage in Kentucky this spring, the Kentucky Horse Council (KHC) created an equine disaster relief fund aimed solely at Kentucky victims. KHC also contributed the remainder of its U.S. Equine Disaster Relief Fund to the United States Equestrian Federation’s (USEF) Equine Disaster Relief Fund, which aids disaster victims across the country. In the past 3 years, when a state needed assistance with horses in need due to a natural disaster, the Kentucky Horse Council coordinated relief efforts through that state’s horse council or other local organizations. The agencies determined the needs of the affected horses, and KHC’s U.S. Equine Disaster Relief Funds were used to purchase feed, temporary fencing, and equine medical supplies. Individuals and organizations across the nation have donated over $15,000 to the Kentucky Horse Council for national equine disaster relief. Horses in Texas, North Dakota, Minnesota, Vermont, New Mexico, Arizona, Alabama, Tennessee, and Kentucky have all been helped by this fund. 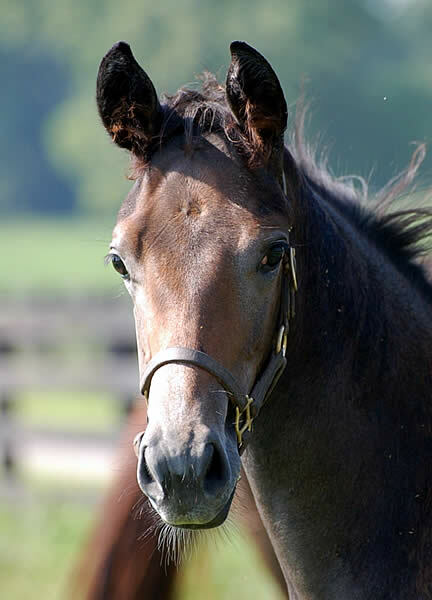 After responding to the victims of tornadoes in Kentucky and surrounding states in the spring, a little over $5,000 remained in the U.S. Equine Disaster Relief Fund, and an additional $3,000 was donated and specifically earmarked for Kentucky horses. Lexington, KY, August 12, 2012 – Kentucky Horse Council (KHC) representatives joined a group of more than 30 Kentucky delegates for a cultural and economic development tour sponsored by Alltech, traveling through Normandy, France, and concluding at the Alltech European Bioscience Centre in Dunboyne, Ireland. 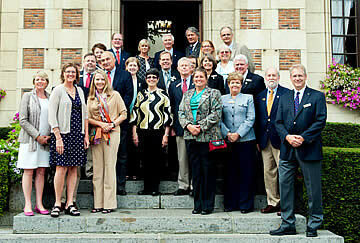 The tour was in conjunction with the July 2011 announcement of Alltech’s sponsorship of the Alltech FEI World Equestrian Games 2014, in Normandy. Anna Zinkhon, KHC Board President, and Ginny Grulke, KHC Executive Director, joined Kentucky Governor Steven Beshear, Secretary of the Tourism, Arts and Heritage Cabinet, Marcheta Sparrow, and Secretary Larry Hayes of the Cabinet for Economic Development, among others, in exchanging ideas during a series of workshops hosted by the Normandy council. The Kentucky Horse Council delegates participated in a workshop with the Normandy Horse Council to discuss partnership opportunities focused on the Alltech FEI World Equestrian Games 2014, in Normandy. Dr Pearse Lyons personally hosted the delegation, engaging in exploratory conversations about both economic and equestrian opportunities, as well as the cultural bond between the countries. LEXINGTON, Ky. – With the intense weather hitting Kentucky this summer, University of Kentucky College of Agriculture experts are recommending horse owners take stock of their pastures and consider other management options such as supplementing with hay. According to Laurie Lawrence, a nutrition researcher and faculty member in the Department of Animal and Food Sciences, the combination of high heat and low moisture has caused cool-season grasses like Kentucky bluegrass and orchardgrass to dry up in many horse pastures. 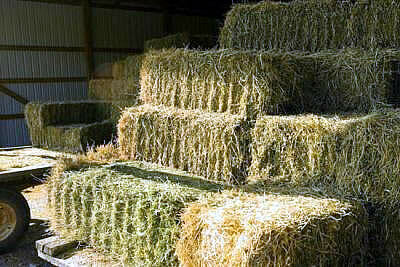 Dry pastures mean low forage availability for grazing horses and a potential need for supplemental hay. “A brief pasture walk can reveal whether a pasture has edible grass or just green weeds. If it is not clear whether there is adequate grass for horses in the paddock, the best test is to offer hay and see whether horses consume it,” she said. Presentation of the award took place at the annual American Horse Council Issues Conference in Washington, D.C. Jay Hickey, Executive Director of the American Horse Council, presented the award. Millard, owner of a multiple discipline horse boarding facility, joined the Kentucky Horse Council in 2005 and was elected President in 2007. While president, she implemented a wide range of new equine programs to benefit the industry. Some of those programs include: horse welfare training for Animal Control Officers, establishment of a U.S. Equine Disaster Fund, establishment of a networking venue for equine professionals, and implementation of a weekly “Kentucky Horse News” e-news for all horsemen, among others.